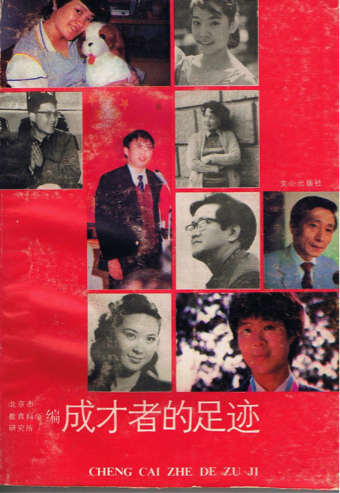 [Image on the right is the back of the cover page] Xiang Li is featured in the left most column on the top. In 1985, Xiang Li was featured among the 20 Most Successful People in China. The book focused on stories related to their upbringing and soon it became required reading for elementary, middle and high schools. Li’s story was listed under #9: She Walked Out a Colorful Path under the table of content. To provide some context, we are going to use this post to highlight brief intros of Li’s story along with the rest of the 19 people who were (and some still are) extraordinary in their fields. We’ll follow with a separate post to highlight the translation of Li’s story in a few days. Storyline: The beginning of Ma Yanhong’s gymnastic career. About: Ye Peiying, a renowned opera singer in China, is known for the song “I Love You, China.” The song demands the voice of a masterful soprano. It has been sung by many singers, but the version as rendered by Ye Peiying is regarded as the most beautiful one. About: Liu Shaotang began to publish works at age 13 and became famous by the age of 15. He was called the “child prodigy” writer at the time. Liu Shaotang’s works created during his boyhood and youth include: collections of short stories, Green Leaves, The Song of Hawthorn, The Mid-autumn Festival, The Shed beside the Melon Patch, inspection Trip incognito; and the novels The Sound of Paddle on the Canal, and Summer. His works from this period were simple and elegant, full of vivid description of the beautiful rural landscape after the land reform movement. 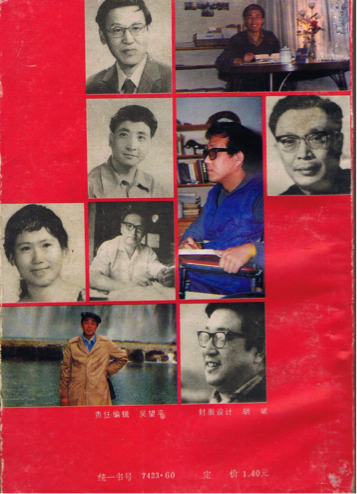 About: Liu Houming was author of many children’s books, columnist for the Beijing Federation of Literary and Art Circles, screenwriter at the Beijing People’s Art, deputy editor for the Oriental Youth, Children’s Secretary in the Ministry of Culture, Vice Chairman of the All-China Youth Federation, and deputy director of the China Writers Association for Children’s Literature Committee. About: Song Shixiong is a sports broadcaster and an ASA International Hall of Fame Inductee in 1995. (ASA: American Sportscasters Association): http://www.americansportscastersonline.com/songshixiong.html. Song’s efforts as a sports broadcaster and commentator on China Central Television (CCTV), as Vice Chairman of the China Research Institute for Broadcasting, as a guest professor at Beijing’s Institute of Broadcasting, and Captain of the Chinese Star Football Team have made him a well-known and respected name in and out of China. About: Former Beijing party secretary for Education Secretary, assistant to the mayor of Beijing, the deputy director of Beijing Municipal People’s Congress, representative of the 7th, 8th, 9th, 13th and 14th National People’s Congress. Current advisor at the National Governor’s science, vice president of the Chinese Society of Education, chairman of Asia-Pacific Federation of UNESCO Association.